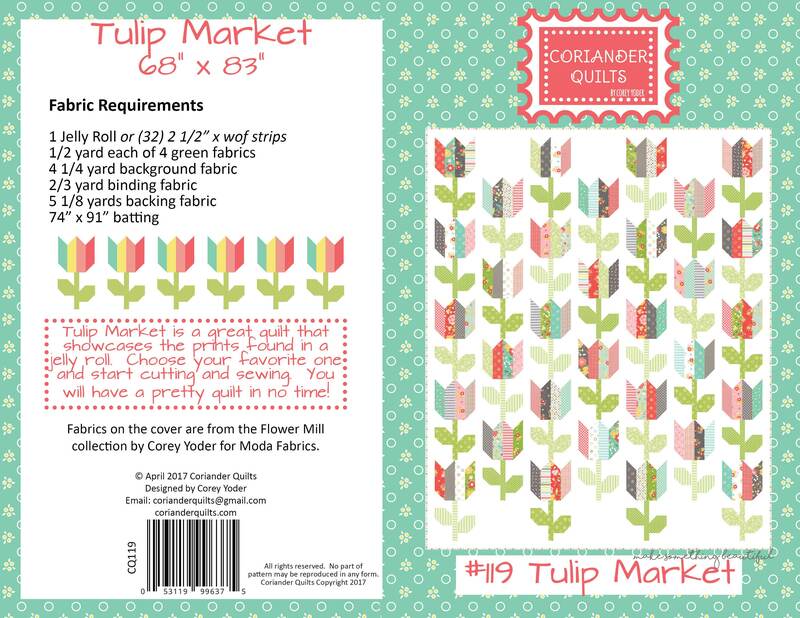 Tulip Market is a great quilt that showcases the prints found in a jelly roll. 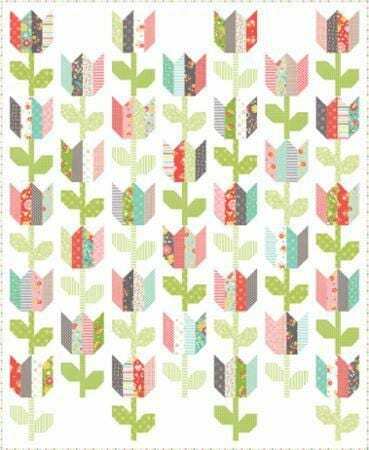 Choose your favourite one and start cutting and sewing. 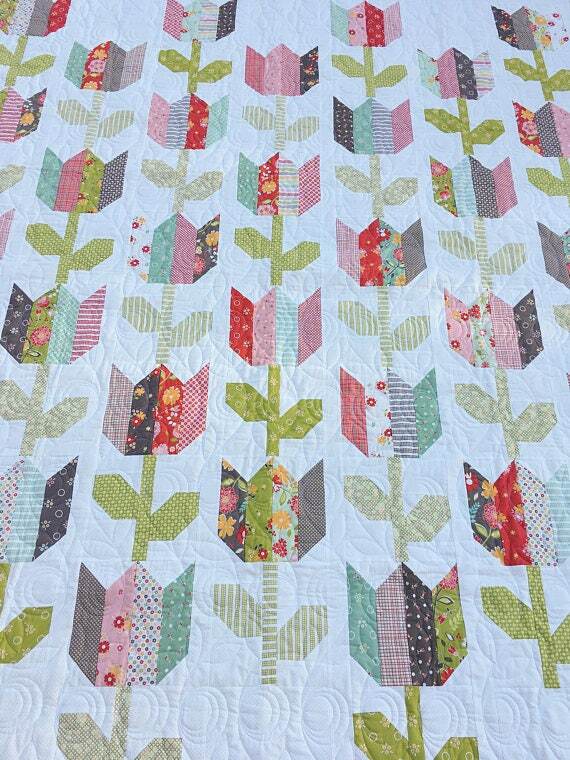 You will have a pretty quilt in no time at all!